Have animal-print fatigue? I have a remedy for that. As a digital fashion editor and lover of online shopping, I'm admittedly a search-term wizard. Some e-tailers provide more specific search results than others, but these days, having a solid search term will lead you to what you're looking for more often than not—and the five-letter term I've been striking gold with lately (and that happens to be a calm in the middle of an animal-print tornado) is simply heart. The rising popularity of heart prints and heart-shaped items is likely attributed to the return of the 1980s, and/or perhaps it has something to do with people turning to fashion as a fun, whimsical escape. Either way, brands have been falling in line, and there are tons of far-from-juvenile heart pieces currently on the market. There are so many, in fact, that I couldn't not share them with you, so here I am. Keep scrolling to shop 22 heart pieces that you'll absolutely, appropriately love. 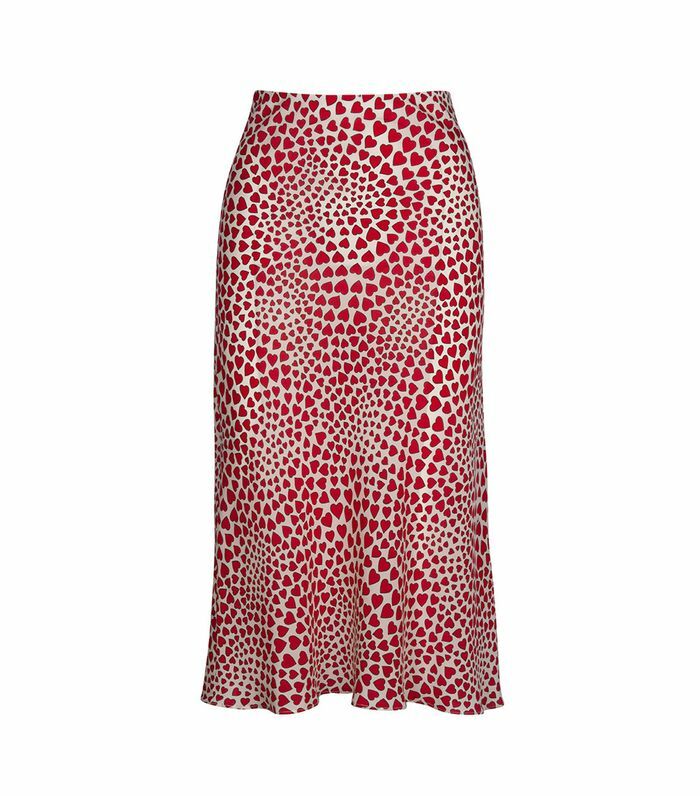 Like that leopard-print slip skirt everyone has, but different. In case subtle hearts are more your speed. Meet your new party bag. This is the piece that inspired this story, ordered by yours truly. I'd wear these beauties day or night. These shades have become a street style favorite. Perfect for pairing with your favorite ankle boots. Dip your toe into the trend (literally). Simply put, I love this bag. FYI: Zara has tons of heart stuff right now. If you really love hearts, feel free to splurge on this. Imagine the compliments you'll receive when wearing this. Here's how to wear hearts to the office. This sweater stopped me in my tracks. Heart-shaped hair accessories don't get chicer than this. 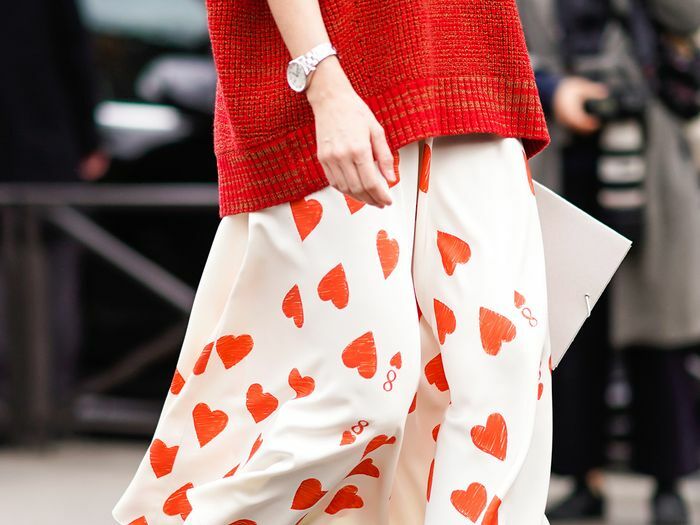 Alessandra Rich has really leaned into the heart trend, and we love her for it. This is a major holiday-party contender. Here's your new favorite thing to wear with jeans. Next up: 12 women in their 30s on the best thing they bought this year.